I don’t know how many times I’ve been asked “Which DNA testing is the best? Which one should I use?” My answer would be all of them! The more DNA testing pools you are in, the better chance that you will find new cousins. The more thoughtful answer to the question is it depends. What exactly do you want to get out of your DNA test results? I’ve used AncestryDNA, FTDNA, and MyHeritageDNA and will highlight what I like about each. First, What Do You Want to Get Out of Your DNA Test Results? This is the most important question you need to ask yourself. Are you a genealogist who wants to find new cousins? Do you need to solve a family mystery like finding your biological mother or figuring out who your maternal grandmother was? Do you have recent immigrants in your tree and are looking to connect with people in other countries? Are you all in it for ethnicity estimates and really don’t care about the genealogy aspect? Now that you know what you want to do with your results I’ll highlight what I like about each company. If you want to find cousins, AncestryDNA is the place to be. It has the largest member database of all the testing companies. It also seems to be the company people are most familiar and comfortable with. 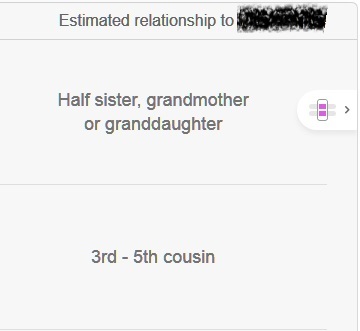 When I logged in to see my results for the first, I recognized several known cousins right from the get go. With just four days of work, I identified 45 people who are in my genealogy database. DNA Circles are an interesting feature. 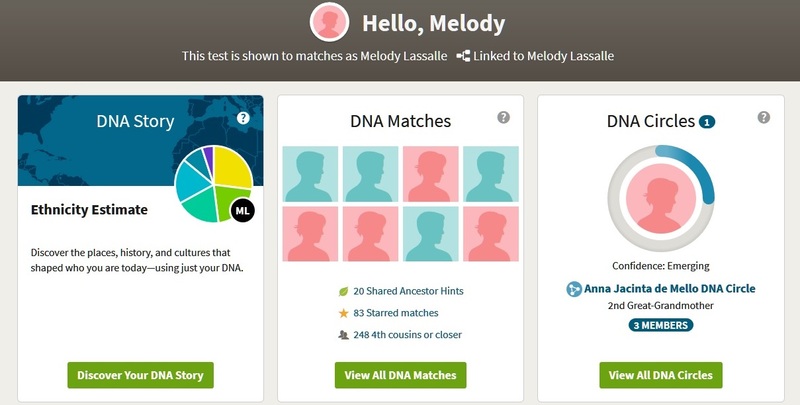 AncestryDNA compares the family trees of your matches if they have provided one. It looks for common ancestors. If it finds them, it places these people in a DNA Circle. Full use of the DNA Circles is limited to members who also subscribe to Ancestry’s genealogy database subscription. However, I found with a little work that AncestryDNA marks matches with a DNA circle symbol and it identifies the ancestor the circle represents. While it is extra work to find the symbol, it’s still helpful. When it comes to ethnicity estimates, only the free service GEDMatch.com can compare to AncestryDNA. With each update, they’ve gotten a little better at breaking ethnicities down into smaller regions. Granted, it’s not perfect. I notice that it gives me far less Portuguese than the other companies. And, it too, misses my British roots. But, it does split regions giving you something a little more specific. Since ethnicity estimates are still in their infancy, I would expect more improvements and refinements. If you find these terms a bit intimidating, look into a genetic genealogy reference guide. Genetic Genealogy: Understanding the Basics and Beyond is a good one to start with. I found it had good information on autosomal DNA tests that was easy to understand. FTDNA has two things AncestryDNA sorely lacks and I honestly don’t know how you resolve matches without them. FTDNA has a chromosome browser which allows you to compare several matches at a time. It also allows you to see each DNA sequence in a graph and in a table. The next thing I love about FTDNA is it allows you to identify the matches you’ve already worked out and it uses that information to move your matches into maternal or paternal groups. How you do this is by creating a family tree. Then, you add the shared line of your match. Once you drag the match to your tree, FTDNA uses this information to see if you share the same sequences with this person and your other matches. In my tree, the people with the color coded identifier are my known DNA matches. It saves a lot of time of trying to figure out what side of your tree matches belong to. Knowing people share the exact same sequence as a match you’ve already figure out a connection to, brings you much closer to resolving the relationship. FTDNA puts a red or blue symbol by the matches it has sorted out making it easy to identify them from the match list. Once you determine a relationship, FTDNA also notes the relationship in your match list. This makes it very easy to see who you’ve figured out and who you haven’t. No other DNA test sites helps you find similar matches like FTDNA. FTDNA’s match list is easy to sort by name, newest, relationship, centimorgans. 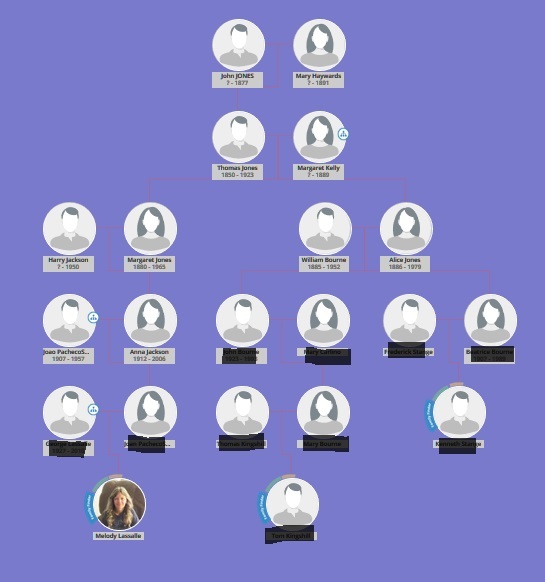 You can see if the person has a tree on FTDNA and if they have entered their surnames you can see those at a glance. You can also download all your matches r individual matches to a spreadsheet. FTDNA also has user groups which allows people with roots in similar regions or similar surnames to collaborate. There is an Azores DNA group at FTDNA, for instance, which gives you access to specialists who understand genetic genealogy as it pertains to the Azores. MyHeritageDNA was really clunky at first. They had almost no tools at all. But, they’ve really stepped up their game. While FTDNA’s match list is easier on the eyes, MyHeritageDNA gives you some extra added bonuses. Let’s back up a step. Before I talk about features, let’s talk about the database. It may not be as large as AncestryDNA but it has something that AncestryDNA does not have in large numbers…foreign DNA testers. For someone like me, whose has no roots in America prior to 1845, this is huge! I’ve got quite a collection of matches from France. I have matches who live in Brasil, Canada, Australia, England, Ireland, Azores, and a whole host of other countries. If you’re looking to find matches in other countries, MyHeritageDNA is a must. MyHeritageDNA, like FTDNA, has a chromosome browser. It allows you to compare up to 7 individuals. You can also see chromosome information on the individual match page. MyHeritageDNA has some features neither of the other two have. For instance, MyHeritageDNA marks people who share the same sequences. It puts a symbol by their name, which takes you to the triangulation tool. Knowing which shared matches also share the same sequence without having to click on every single one is nice. MyHeritageDNA allows for more sorting levels than FTDNA and AncestryDNA. I really like that I can sort my matches by country of origin. This is useful in determining where to start looking for a common ancestor. AncestryDNA has the biggest database which increases your chance of figuring out your cousins. It has improved ethnicity estimates and is getting better at identifying ethnicity. DNA Circles allow you to see people who share common ancestors in their family trees. FTDNA gives you the ability to mark your identified matches in your family tree and it uses this information to sort your matches into paternal and maternal groups. It has a chromosome browser and allows you to see each chromosome sequence you share with a match. The match list is easy to use and easy to sort by different criteria. You can download your match list to work with in a spreadsheet, too. User groups allow you to find people who are working in the same region or on similar surnames. MyHeritageDNA has more matches from countries outside the United States. If your ancestor trail leaves the US rather quickly, this might be beneficial to you. It has a chromosome browser and a triangulation tool. You can access the triangulation tool from your shared matches screen. It has some sorting features that the other two sites don’t. You can sort matches by country where they live, by ethnicity. I have 145 matches from Great Britain and 730 matches who are Iberian. FTDNA and MyHeritageDNA also allow you to the family trees of your shared matches. AncestryDNA blocks this feature unless you have a database subscription. You can get around it by asking each match for an invitation to see their tree, but that’s a bit cumbersome, especially when you are looking for clues before you contact someone. Now that you know some of the pluses and minuses, buy the test that meets your needs. Also, check to see which companies allow you to upload your raw DNA files for free. That way you can take advantage of the best features at multiple companies. If you’ve already taken a DNA test, which company did you choose and what do you like about it? Tells us in the comments.